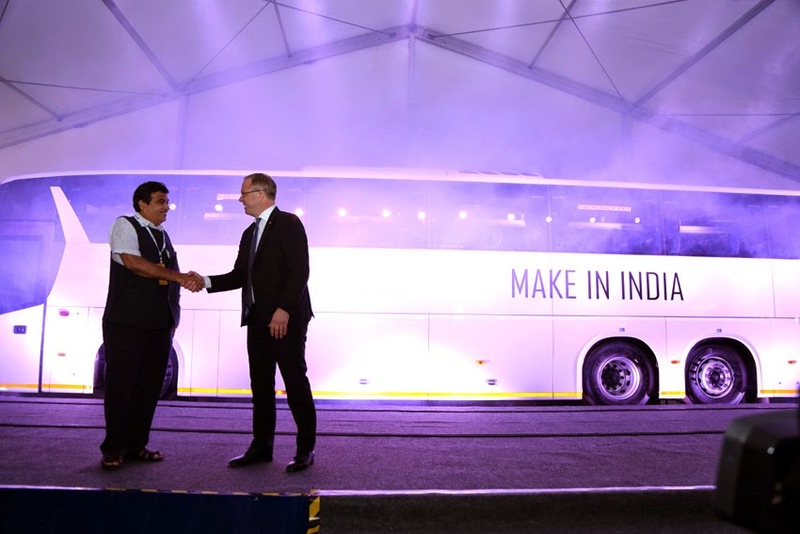 In the presence of 1,500 guests, including ministers, ambassadors, customers, suppliers and employees, Scania Commercial Vehicles India inaugurated the company's first bus manufacturing plant in Asia. facility, in the Indian state of Karnataka, 40 km east of Bangalore. Investments of 40-million euros in the first phase of the facility mean that Scania will be able to manufacture 1,000 buses and 3,000 trucks there annually. "Less than five years ago I came here with a team from Scania and we bought this piece of land that we are standing on today. At that time we had an idea and a vision of what we wanted to build here. So I hope you can appreciate that it is exciting for us to see it being realised," said Martin Lundstedt, President and CEO, Scania. "We keep on growing and now that we are opening our second industrial facility with bus production we are further expanding Scania’s ambition to offer state of the art Sustainable Transport Solutions."